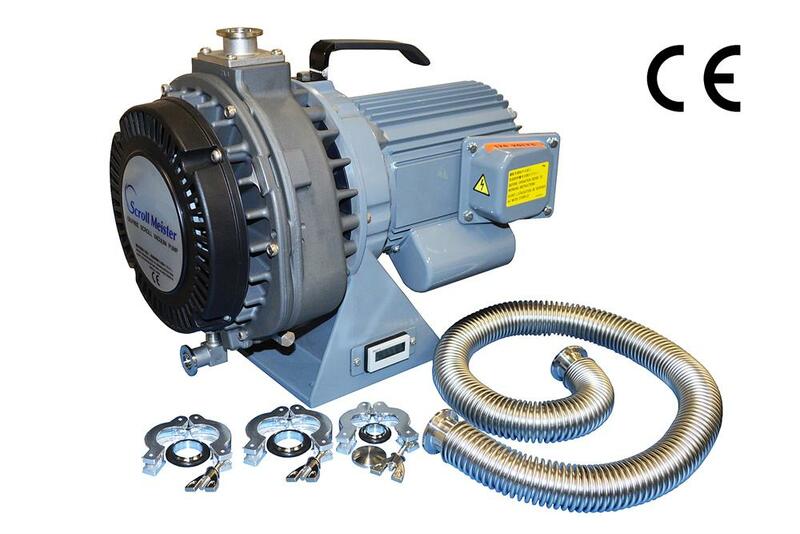 IPS250C is a compact oil-free scroll vacuum pump with 250 L/min for 50Hz (300L/min for 60Hz) displacement. Less noise & vibration provide the better working environment. Built-in air flush system removes moisture automatically. Pumping speed and ultimate pressure remain the same during air-flush operation and standard operation. Motor permissible voltage is ±10%. Noise level is measured at the ultimate pressure in an anechoic room. Vapor handling is less than 25g/day (25℃, humidity 60%RH) during air-flush operation. Air-flush volume is 10L/min. The pump is the standard operation with 200V connection specifications when it is delivered to you. Three-phase Motor is not equipped with motor protection gear. Be sure to fit the protective device.